As wheat drilling season is upon us, producers are making management decisions that will affect the performance of their crop. Economics always play a role, but many farmers are really scrutinizing their costs due to the current commodity market. Seed is one of the worst places to reduce cost, but often the first to be considered. So how can you be sure to not limit your yield potential while still being prudent in selecting the best seed? Selecting a good variety is the most important place to start. Several varieties will work well on any given farm. It’s important to properly match variety characteristics, as well as your management intentions, with each field. Certified seed dealers, retailers and crop advisors are all good sources of information. 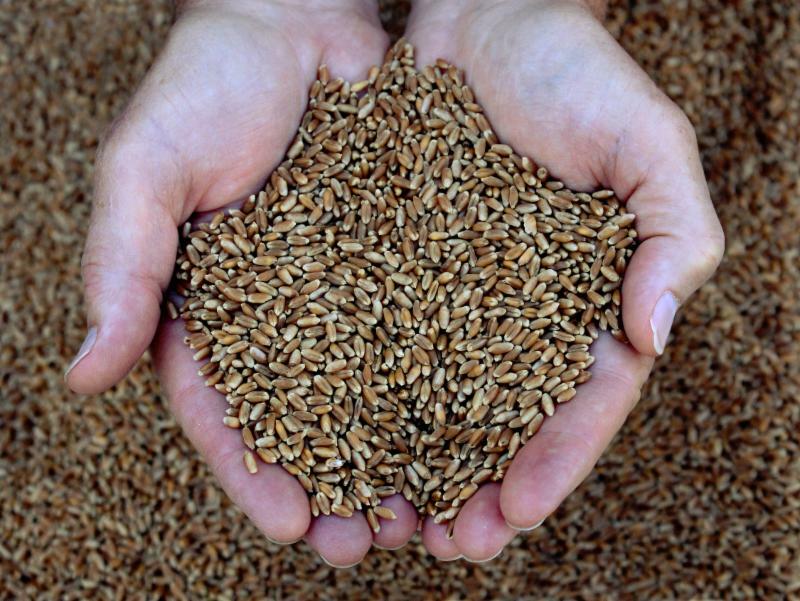 Seed quality plays an important role in how a crop will perform in the field. Research shows, the larger seeds within any given lot of seed will perform better than medium or small seed. Thousand Kernel Weight (TKW), which is similar to test weight, is a good indicator of performance, especially when wheat is planted deeper in the soil. The larger, heavier seed will outperform the smaller, lighter seed. Proper seed cleaning is the only way to remove the small, light-weight seeds. Most farm operations are not equipped to completely clean seed. There are seed cleaning businesses in each community and portable equipment that can come right to the farm. It is best to have your seed cleaned by someone who’s been inspected by the state seed certifying agency and is recognized as an Approved Seed Conditioner. Air/screen cleaners, also called fanning mills, do a good job at removing the trash, chaff and small seeds. When operated properly, they can also make some improvement on test weight. Gravity tables are very efficient at removing the light test weight seed, but not well-suited for sizing seed. Length graders can remove problem weed seed, like jointed goatgrass or wild buckwheat. Large, heavy seeds in a seed lot will emerge more quickly and from deeper depths than small, light-weight seeds. This also translates well to greater fall forage production when planting early for grazing and for stand establishment when planting later in the season. These plants are more robust and higher yielding. Plants from small seeds emerge later and can often act as weeds, taking moisture and nutrients from the healthier plants and not contributing significantly to yield. Seed treatments are another good investment in your wheat crop. These can offer protection against disease and insects, which is particularly important when planting into dry conditions when the seed may wait several days or weeks before germinating. Experience has shown that while many farmers might be capable of producing, conditioning and treating their own seed, most lack the time or equipment to do so properly. Purchasing Certified Seed ensures a broad selection of varieties, independently inspected to industry standards, professionally prepared and conveniently available with advice on how to best manage it for success. Wheat producers should be reminded to think twice before trying to save on seed costs as this might cost them in yield next summer.